It is a Health Department requirement that no dose can be deleted so we use a system of reversing the dose if required. A confirmation message will appear. No will cancel the reversal. Click Yes and a completion message will appear. Clearing these messages will remove the reversed dose. Only one (1) dose is reversed at a time. 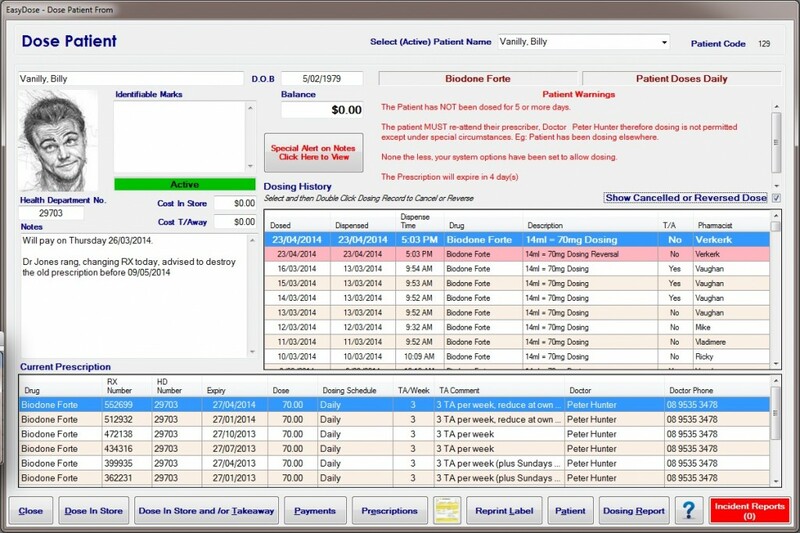 In the example above, the dose for the 13th March was reversed. 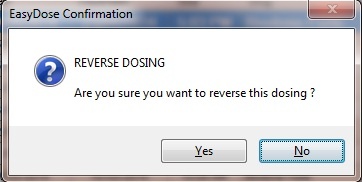 Note: A cancelled or reversed dose is never deleted. A corresponding negative (-ve) is listed against the reversed item(s) which rebalances the stock on hand.